Nashville Prostitution Lawyer | Raybin & Weissman, P.C. Nashville area law enforcement agencies take acts of prostitution very seriously, and often go as far as conducting stings to combat the occurrence of prostitution on area streets. If you have been charged with prostitution, it is important to understand the penalties you face and the options you have for defending yourself. At the law firm of Raybin & Weissman, P.C., our Nashville prostitution defense lawyers have the experience and skill needed to address even the most serious prostitution related charges. By carefully examining all the evidence and information related to your case, we work to offer the information you need to understand your charges and make the most informed defense decisions possible throughout your proceedings. Individuals who are charged with prostitution related offenses are often simply trying to make ends meet, or fulfill a need or desire. Unfortunately, the state does not offer leniency to these individuals, making it important to mount an aggressive defense against your charges. Our experienced staff will fight to help you mount such a defense, and will make every effort to help you understand your defense options and your proceedings. In short, we will take on your legal struggles, and offer the attentive representation you need to combat these serious charges. 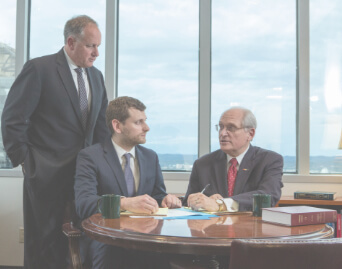 Contact our office online or call 615-256-6666 to discuss your specific charges during a confidential consultation with one of our understanding and experienced attorneys.